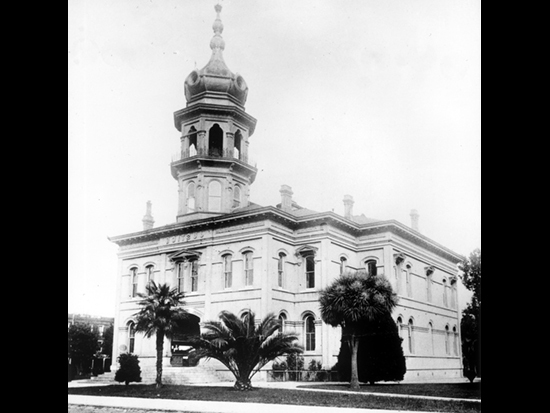 The distinctive cupola on Napa's third courthouse, which combined Russian, Gothic, and Victorian styles, withstood the 1906 earthquake, during which a chimney crashed into a judge's chambers. At the time it was constructed, a local newspaper reported that "all the brick used in the construction of the courthouse and jail were made at the old brick yard on the Sonoma Road. About 90,000 were made, which were pronounced by competent judges to be of excellent quality." The courthouse, which is listed on the National Register of Historic Places, is still in use. The cupola was removed after another earthquake in 1964.